CANNON FALLS, Minn. – Scofield Drug and Gift is moving to its new location on Monday, Jan. 23, providing store guests and long-time customers with the same great service and friendly faces inside the Econofoods located at 425 W. Main Street in Cannon Falls. 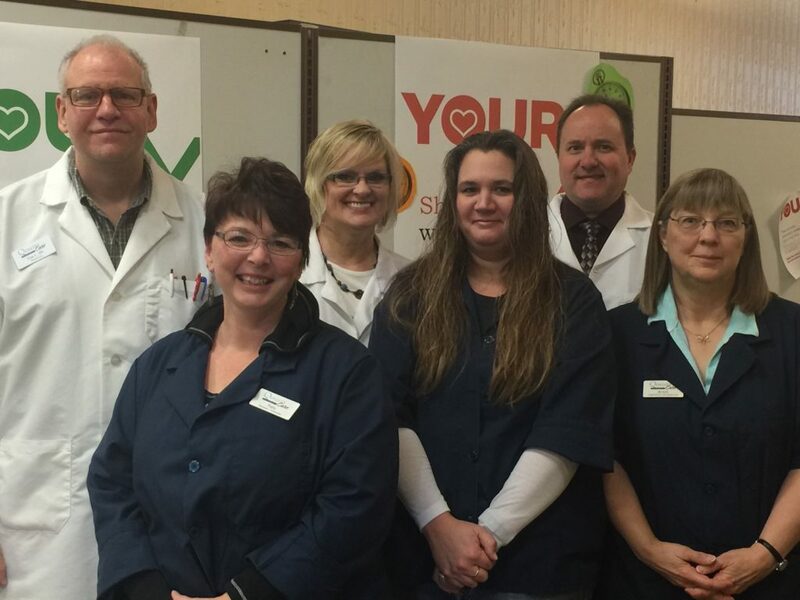 All prescriptions previously filled at Scofield will automatically transfer to the new location, and pharmacists and staff will continue to serve the Cannon Falls community from within Econofoods. “Scofield Drug and Gift has been a part of Cannon Falls for nearly 150 years, and we look forward to continuing its legacy of fast, friendly service with the added convenience of its new location,” said Tom Swanson, Vice President of the Retail West Division for SpartanNash. The current Scofield Drug and Gift location will close on Jan. 21. It will reopen for business inside the Econofoods on Jan. 23 at 8 a.m. Scofield hours and contact information will remain the same, so that store guests can still easily consult with their local pharmacist. Relocating the Scofield Drug and Gift is part of a larger $1.5 million investment SpartanNash – which owns and operates more than 155 retail stores in 10 states, including Econofoods – is making in the Cannon Falls community. The investment includes a store remodeling project at the Econofoods to better serve store guests and the added convenience of a drive-thru option for the pharmacy. Pharmacy hours will be Monday through Wednesday, 8 a.m. to 6 p.m.; Thursday, 8 a.m. to 7 p.m.; Friday, 8 a.m. to 6 p.m.; and Saturday, 8 a.m. to 5 p.m. The pharmacy phone number is 507-263-2881.